It’s January – the start of another PDR/FJP cycle – time to stock check your skills set, and identify the skills gaps that you should be trying to plug over the next few months. IT skills will be near the top of many lists – it doesn’t matter whether you are a novice or an “expert” there will always be something new to learn. Here are some of the sites you might like to explore to help you develop your skills online – at your own pace, and at a time and place that suits you. This resource is free to HWU Staff. 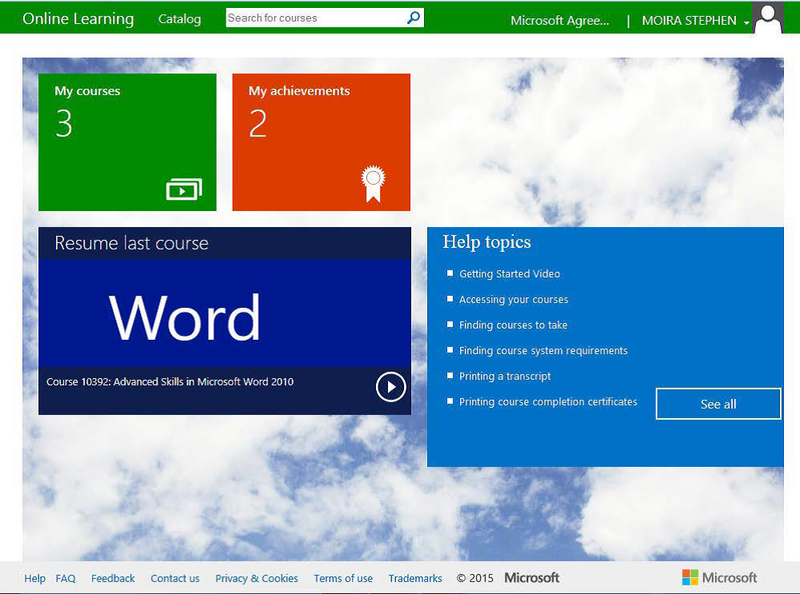 The learning materials cover a wide range of Microsoft products from end user courses on Office 365, Microsoft Office, SharePoint etc. to more technical courses. There are lots of videos and tutorials for Office 365 and all of the Office products in the Office Training Centre. Just select the product you want to learn about and then explore the videos and tutorials. The Goodwill Community Foundation has been producing free online tutorials for several years and there are now over 125 online tutorials to choose from. Browse through the list of topics and explore the areas you are interested in. Visit our Skills Development web pages to check out other options.